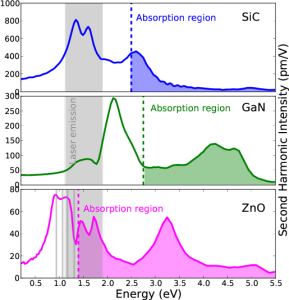 We published a new paper on the second harmonic generation(SHG) in two-dimensional hexagonal crystals SiC, ZnO and GaN. The SHG is calculated within the so called GW plus Bethe-Salpter formalism, using a real-time implementation proposed by some of us. 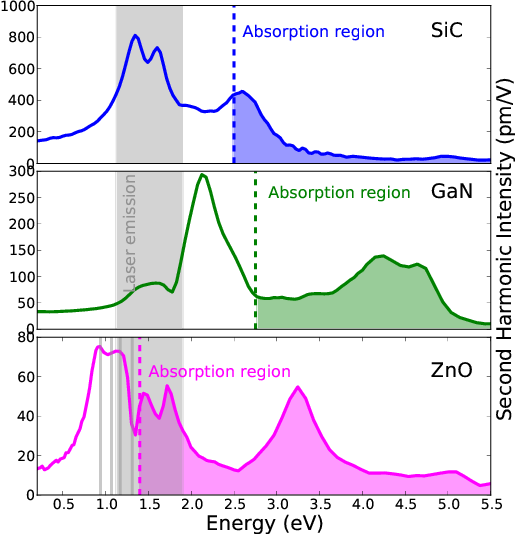 We found that these system present a large region with a strong SHG before the absorption onset, compatible with laser frequencies available in the market. This open the possibility to integrate these two dimensional crystals in optoelectronic devices.